Head impacts and resulting head accelerations cause concussive injuries. There is no standard for reporting head impact data in sports to enable comparison between studies. The aim was to outline methods for reporting head impact acceleration data in sport and the effect of the acceleration thresholds on the number of impacts reported. A systematic review of accelerometer systems utilised to report head impact data in sport was conducted. 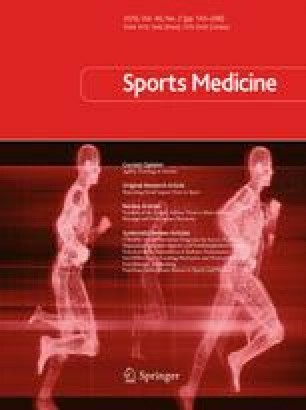 The effect of using different thresholds on a set of impact data from 38 amateur senior rugby players in New Zealand over a competition season was calculated. Of the 52 studies identified, 42 % reported impacts using a >10-g threshold, where g is the acceleration of gravity. Studies reported descriptive statistics as mean ± standard deviation, median, 25th to 75th interquartile range, and 95th percentile. Application of the varied impact thresholds to the New Zealand data set resulted in 20,687 impacts of >10 g, 11,459 (45 % less) impacts of >15 g, and 4024 (81 % less) impacts of >30 g.
Linear and angular raw data were most frequently reported. Metrics combining raw data may be more useful; however, validity of the metrics has not been adequately addressed for sport. Differing data collection methods and descriptive statistics for reporting head impacts in sports limit inter-study comparisons. Consensus on data analysis methods for sports impact assessment is needed, including thresholds. Based on the available data, the 10-g threshold is the most commonly reported impact threshold and should be reported as the median with 25th and 75th interquartile ranges as the data are non-normally distributed. Validation studies are required to determine the best threshold and metrics for impact acceleration data collection in sport. Until in-field validation studies are completed, it is recommended that head impact data should be reported as median and interquartile ranges using the 10-g impact threshold. The online version of this article (doi: 10.1007/s40279-015-0423-7) contains supplementary material, which is available to authorized users. The authors declare that there are no competing interests associated with the research contained within this manuscript. No sources of funding were utilised in conducting this study. According to the definition given by the International Committee of Medical Journal Editors (ICMJE), the authors listed above qualify for authorship on the basis of making one or more of the substantial contributions to the intellectual content of the manuscript. Doug King, Patria Hume, Conor Gissane, Matt Brughelli and Trevor Clark declare that they have no conflict of interest.